This course is full of positive solutions, clear how-to's, & amazing science! 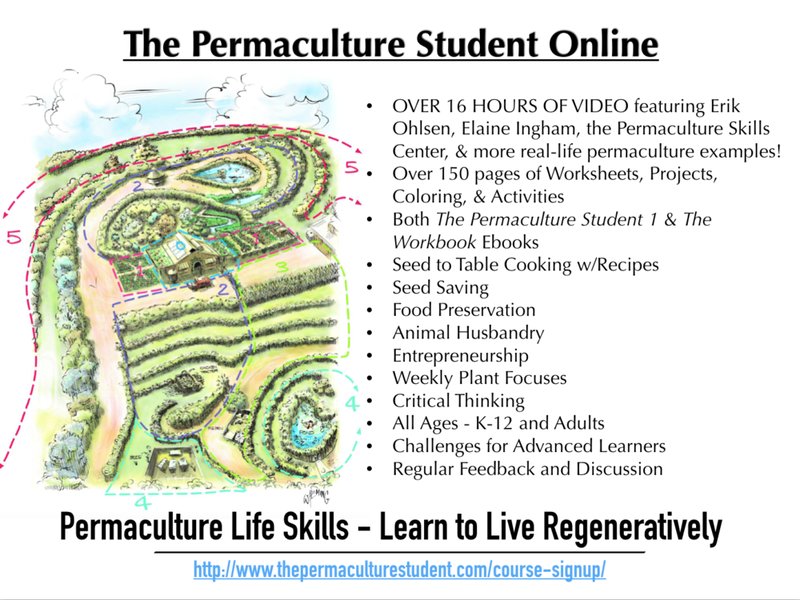 Includes the select footage from both The Permaculture Student Online K-12 and Permaculture Gardening for a in-depth introduction without all the K-12 course worksheets, recipes, and seed saving. Click the image to learn more about this program.